Figs. 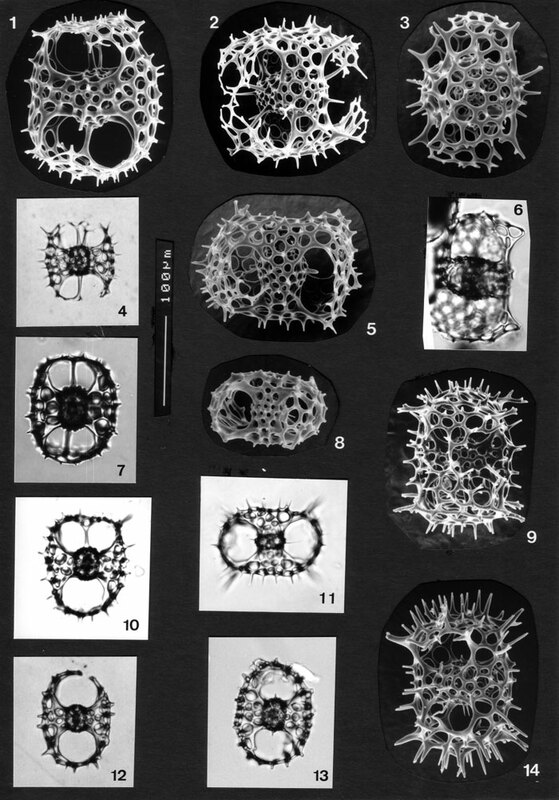 1-14 Tetrapyle octacantha in various orientations. Note how, in fig. 10, the form of the upper half (with polar bar) differs from the lower half (without bar). BSS 28B(II) (3x) BSW 3(F) EF L31, BSS 28B(II), BSS 25B(F) EF 031, BSS 34B(F) EF H38, BSS 28B(II), IOW 188(F), IOW 156(F), BSW 3(F) EF J11, BSS 36(F).